BMW's 1 Series has been continually evolved in this second generation form, most recently with updates to the interior and changes beneath the bonnet which have brought more power and greater efficiency. There's still the brilliant hot hatch model to head up the range, the M140i, but at the other end there's a super-economical three-cylinder 116d that can manage more than 50mpg. 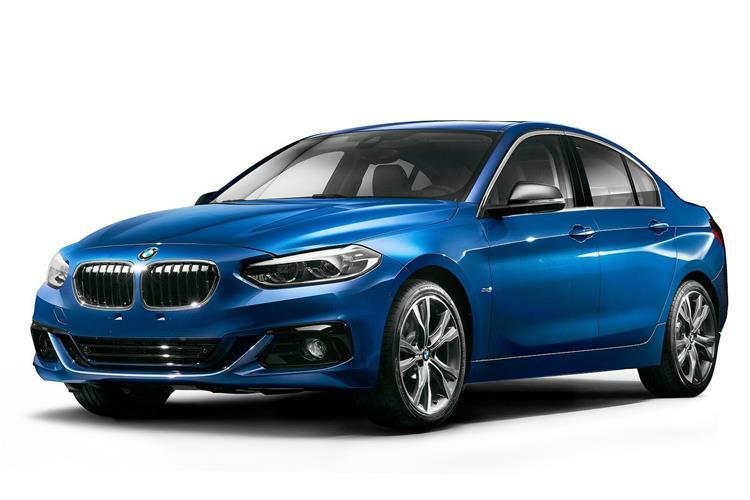 Having updated the look of the second generation version of their 1 Series model in 2015, BMW has more recently introduced changes to the interior and properly updated the engine range you get beneath its bonnet. We think the powerplant updates to be most significant. First, there were three cylinder 1.5-litre entry-level units for the respective petrol and diesel line-ups. Then we got a pokier 2.0-litre unit for 118i and 120i variants. 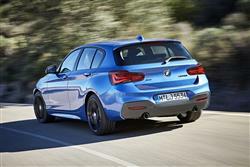 Finally, the top M140i hot hatch has been blessed with a pokier straight six 340bhp 3.0-litre powerplant. The engineers have certainly been busy. Otherwise, the recipe is much as it was before, designed to suit customers looking for a Focus-sized family hatch with a little more prestige and class. BMW had to make these moves following recent upgrades to this model's two closest rivals, Audi's A3 and the Mercedes A-Class. What's different here though is the rear wheel drive configuration. That's still uniquely BMW. We've touched on what's changed beneath the bonnet but here, we'll investigate that in more detail. There's a 'Baukasten' 2.0-litre four cylinder Twin Scroll turbocharged engine for the 120i petrol variant, developing 184. Meanwhile, at the top of the line-up, the sporting M140i hot hatch gets a 3.0-litre straight six developing 340bhp and 500Nm of torque, enough to send this car to 62mph in just 4.6s if you specify the paddleshift auto gearbox. You may not have come across the three cylinder 1.5-litre entry-level engines ether, the 136bhp unit used in the 118i petrol model and the 116bhp powerplant used in the 116d diesel. Even the 2.0-litre diesel used in the mid-range diesel variants that most customers want has been tweaked in recent tmes. It develops 150bhp in the 118d and 190bhp in the 120d. The majority of 1 Series models get a regulation six-speed manual gearbox, but the all-wheel drive 120d xDrive variant features as standard the eight-speed Steptronic transmission. The eight-speed Sport Automatic 'box is available as an option for the 120d, 120d xDrive and M140i models. It features faster gearchanges, shift paddles on the steering wheel and a Launch Control function. 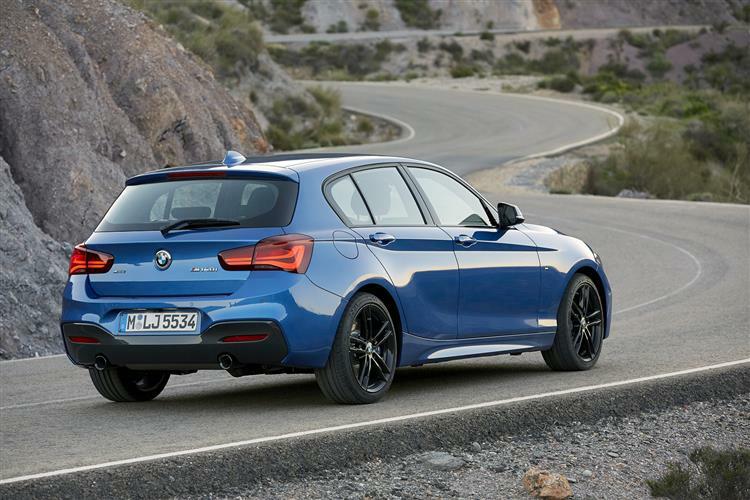 BMW hasn't introduced any more exterior styling tweaks to this 1 Series model since its facelift update in 2015 but it has made further changes inside. The popular 'Sport' and 'M Sport' variants get a re-designed stitched dashboard. Plus pearl chrome accents around the cabin and steering wheel stalks from BMW's executive 5 and 7 Series models give the interior more of an up-market feel. As for passenger space, well, one consequence of running a transmission tunnel through any compact hatch will be rather compromised rear seat accommodation. That hasn't really changed too much. The 1 Series is still a bit more cramped in the back than something like a Golf. Nevertheless, the cabin is a good deal better looking than most rivals and the package of facelift changes back in 2015 brought us a revision to the dashboard minor controls. Both the air vents and the controls for the radio and the automatic air conditioning feature chrome surrounds, while the radio and automatic air conditioning keypads are set against smart high-gloss black panelling. There's also a standard freestanding, 6.5-inch Control Display. Choose the optional new generation Professional Navigation system and a bigger 8.8-inch display is fitted. All 1 Series models are optionally available with a 40:20:40 split rear seat backrest: folding one or more of the sections allows boot capacity to be increased in stages from 360 to 1,200-litres. Full LED headlamps with low and main beam are on the options list, with Adaptive LED headlamps a further option. These follow the path of the road ahead, and also adapt their beam according to the type of road and conditions at any given moment. At the rear, smart tail lamps with a familiar BMW 'L' shape design also use LED tech. Prices open at just over £21,000 and there's a premium of around £500 if you want the five-door rather than the three-door bodystyle. The top M140i flagship is priced from just over £32,500. 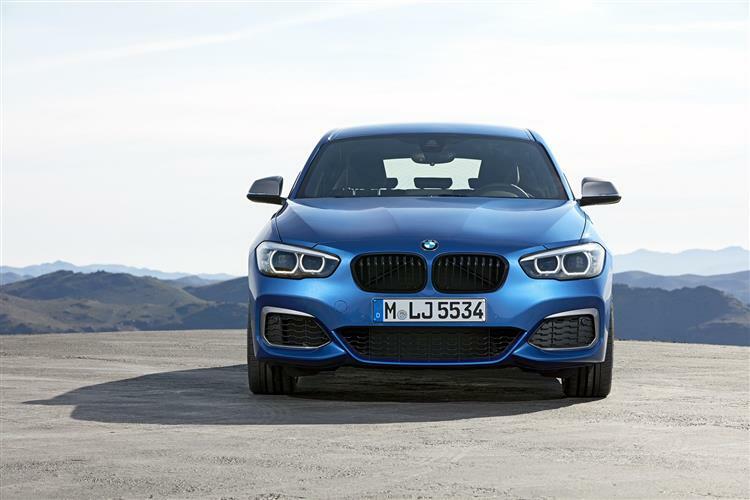 The 1 Series range is offered in three mainstream trims - SE, Sport and M Sport. The SE nets you remote control central locking, keyless engine ignition, electric window controls, electrically heated exterior mirrors and the Driving Experience Control switch. Also included is automatic air conditioning, a multi-function leather steering wheel adjustable for height and reach, a rain sensor including automatic driving lights control and a front passenger airbag that can be deactivated. A CD and DAB stereo with six speakers and an AUX-In socket, plus Bluetooth audio streaming functionality are other standard equipment features, along with the iDrive operating system and the recently upgraded BMW Navigation system. The 16-inch alloy wheels look a bit puny, but then there's always the options list. Or indeed, the Sport model for another £1,000 more. This gets 17-inch rims, ambient lighting, black high-gloss interior trim, Sport exterior styling elements, Sport steering wheel and Sports seats. For an additional £2,700 above SE specification, M Sport trim comes as standard with 18-inch M Sport alloy wheels, aluminium hexagon interior trim, M Aerodynamic body styling, M Sport suspension, Sport seats, Alcantara upholstery and an M Sport leather steering wheel. 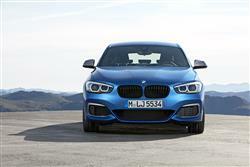 The M135i model features uprated steering, suspension, gearbox and wheels/tyres combination. May owners will be tempted by an optional 360-watt Harman Kardon stereo, complete with 12 speakers and a digital amplifier. No car manufacturer has made quite such impressive progress as BMW in the field of improving efficiency. As well as Brake Energy Regeneration, electric power steering, the optimum gearshift indicator and the auto Start Stop function, standard equipment for the improved BMW 1 Series model range also includes ECO PRO mode, which can be activated using the included Driving Experience Control switch. On some cars specified with an automatic transmission, ECO PRO mode now also offers a coasting function. In addition, vehicles with the Professional Navigation system come with a Proactive Driving Assistant function, which tells the driver when to lift off the throttle ahead of corners, turn-offs, roundabouts and speed limits. What's the net effect of all this eco geekery? Well, it's actually rather impressive. You'd expect a 116d diesel model to net some decent figures and that doesn't disappoint with up to 50.4mpg on the combined cycle and up to 111g/km. Even the rapid 120i can manage 37.2mpg, while the all-wheel drive 120d manages up to 45.6mpg. 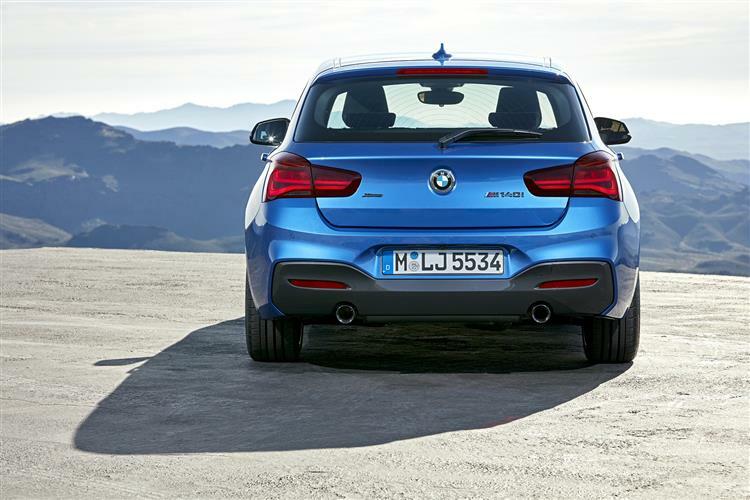 At the top of the range, the ballistic M140i can get up to 32.5mpg and emits 138g/km. Slowly but surely, BMW are excising each and every flaw in the 1 Series' makeup. When the car was originally launched in first generation form, it had plenty of flaws. It wasn't good looking, interior packaging was awful, the cabin quality wasn't all that it could have been and it wasn't actually that exciting to drive. The second generation model corrected many of these faults and this improved version finesses the package still further. While it's still not the most elegant looking hatch on the market, it's no longer conspicuously weird-looking. 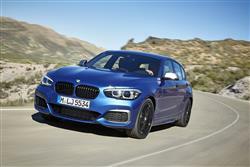 You could even call the latest car handsome, which would be a first for a 1 Series hatch. Where this generation scores is in building in so much value for the customer. The cabin looks and feels so much more aligned to more expensive BMW models and the engine range delivers so much more choice. One thing that hasn't changed is that the Munich maker continues to offer a balance between performance and economy that almost seems to defy the basic laws of thermodynamics. Expect this one to sell in serious numbers.